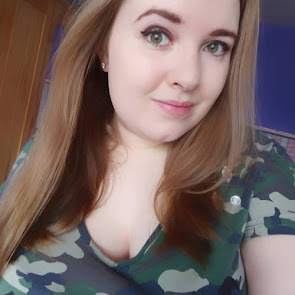 I went out ten-pin bowling Friday night with some of my friends for Nicola's 26th birthday, and I wanted to have my nails all painted up for the evening. I decided on something a little arty for the occasion and came up with this set of designs for my nails! 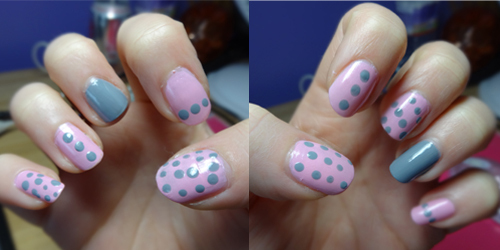 I decided on a pink base with grey spots, but done an accent nail on each finger. I started off with drawing dots down the centre on some nails, across on others, swirls and diagonal patterns on the rest. The swirly ones were not the best idea for when you are drinking! Very sore on the eyes once you've had a few drinks! I've not done anything this like before, so I am really happy with how these turned out. I finished all of the designs off with a top coat from Collection 2000. 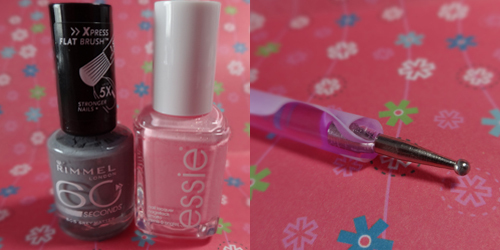 I used and Essie nail varnish called 'Pink About It' which I bought off of Fragrance Direct for £2.50, and the other colour is 'Grey Matter' from Rimmel - also from Fragrance Direct for £1.99. The dotting tool is part of a 5 piece set from Ebay for 99p! The pink has a slight glittery touch to it, so it all worked out well!